Flutist Trisha Craig received the BM from Ithaca College and the MM in Flute Performance from Longy School of Music, where she studied with Robert Willoughby. She currently teaches flute at The Governor’s Academy (Byfield, MA), the Ted Herbert Music School (Manchester, NH), and is the Conductor of the Northeast Massachusetts Youth Orchestra (NMYO) Flute Choirs. 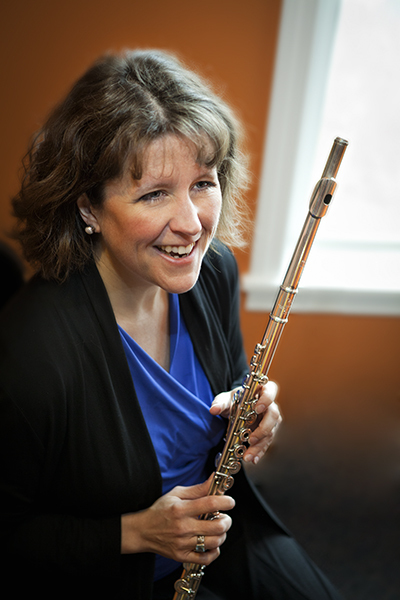 She owned Music Makers, a music school on the NH Seacoast, for twenty-two years; has taught Applied Flute at Johnson State College and Flute Teaching Methods at University of New Hampshire; and has been a clinician and adjudicator at various festivals and workshops throughout the region. Ms. Craig specializes in 20th Century and contemporary repertoire, and performs in solo, chamber, and orchestral settings. She was the first winner of the Robert Willoughby Baroque Flute Scholarship, through which she studied baroque flute with Carol Epple. Her students have won awards at the local, regional and national levels, and have been accepted to some of the finest music colleges in the country.